Despite the aforementioned niggles, the 930 Sporting is a pleasant, reliable gun to shoot and quite easy to use. It is smooth and stable enough to be used for all clay shooting sports, easy on the wallet and the shoulder alike. 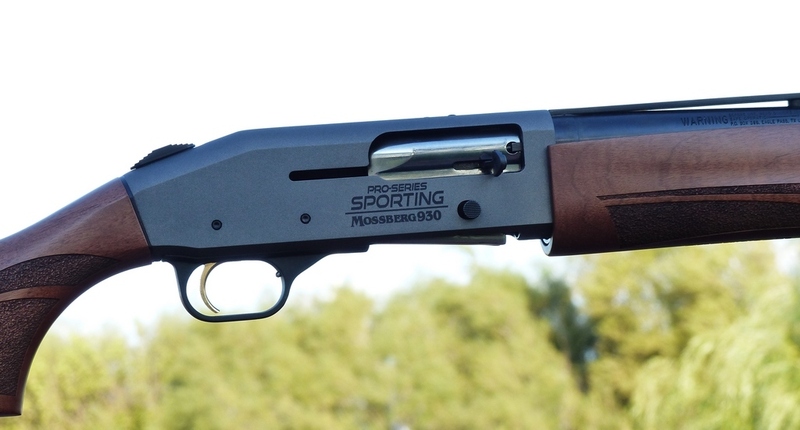 The Mossberg family is quite proud of its being able to provide affordable, durable firearms to the American consumer and the 930 Sporting, like the previously tested Duck Commander Pro-Series model, is a good example of this. To be sure, the 930 series is not an ultra-light, nimble hunting gun at all. It wouldn't be anyone's choice as a mountain quail rig or a grouse gun, and the eight pound class of shotguns is more than I personally care to chase wild pheasants with. But, as a do-it-all type of clays gun, it is a good platform, and there is no reason at all why this gun cannot be enjoyed on the dove field or even the duck blind as well. It has a 3 inch chamber, so use of common 1-1/4 oz. steel loads poses no problem at all. It is fun gun and a very good value as well, with enough adjustability to suit many, many shooters. Easy to load, easy to point, and easy on the wallet is a good combination.